Plays on table. 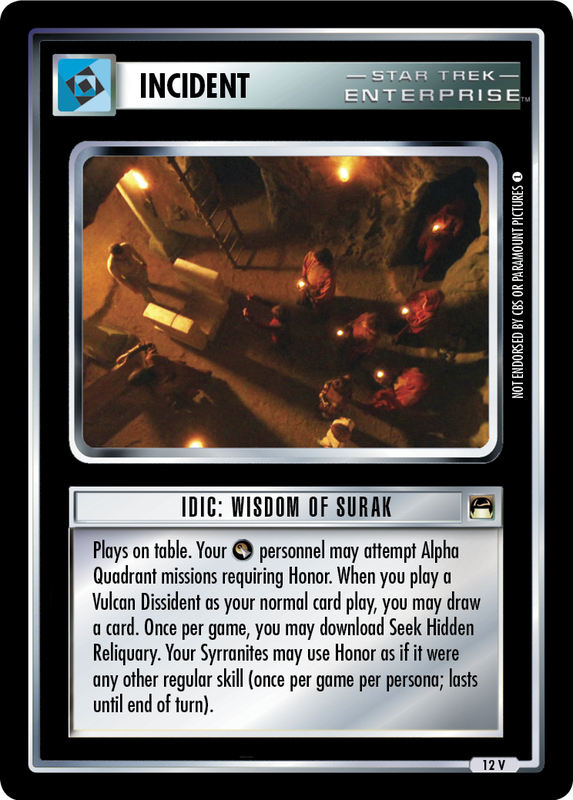 Your personnel may attempt Alpha Quadrant missions requiring OFFICER. 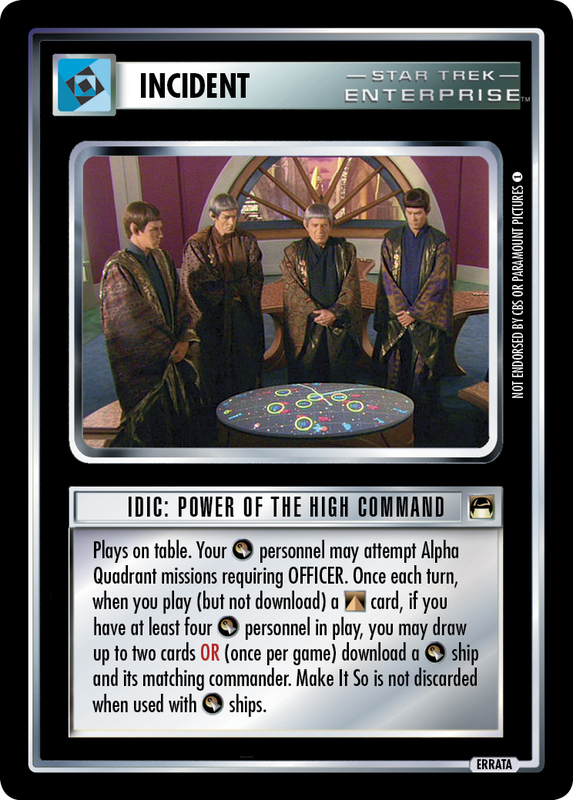 Once each turn, when you play (but not download) a card, if you have at least four personnel in play, you may draw up to two cards OR (once per game) download a ship and its matching commander. 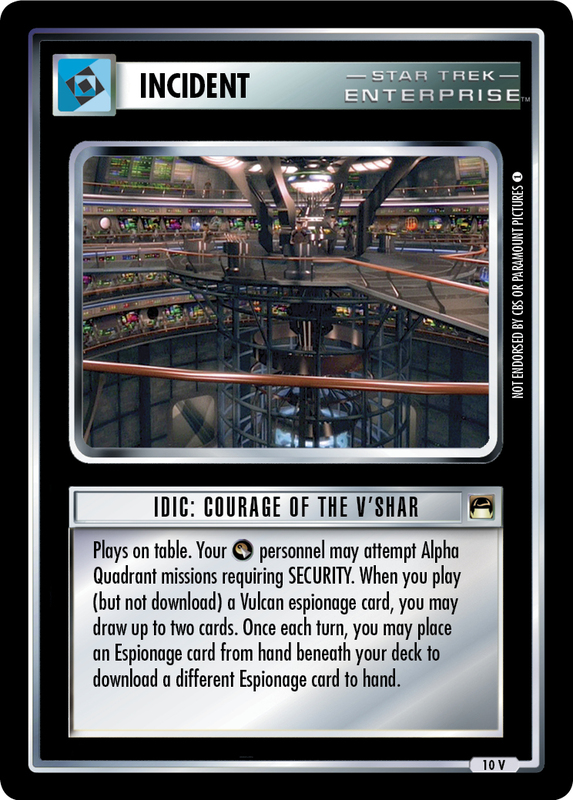 Make It So is not discarded when used with ships.